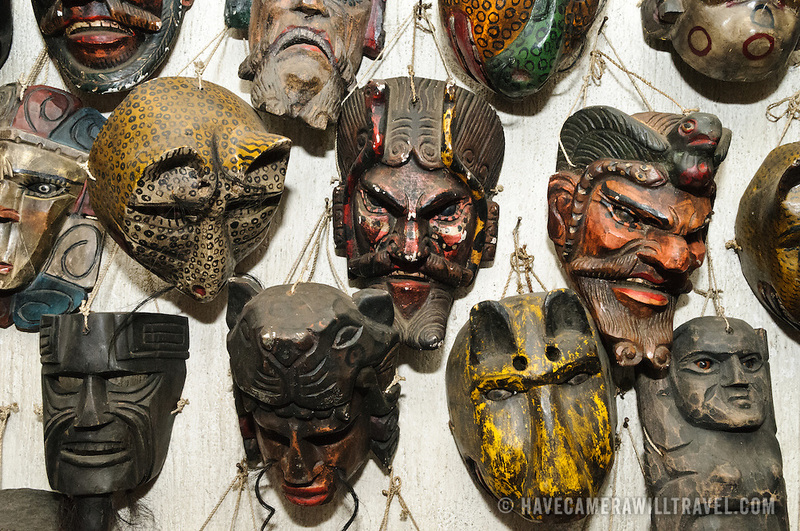 Historic masks used for festivals and celebrations in Chichicastengo. The town has become famous for its masks which depict a combination of indigenous characters as well as Catholic saints and Spanish conquistadors. Chichicastenango is an indigenous Maya town in the Guatemalan highlands about 90 miles northwest of Guatemala City and at an elevation of nearly 6,500 feet. It is most famous for its markets on Sundays and Thursdays.